Combining a rich knowledge of the history of time with modern technologies and the example set by the great masters, the Chronomètre Optimum most certainly joins the great iconic timepieces of F.P.Journe Haute Horlogerie, in an ongoing quest for precision, innovation and excellence. - The double barrel with its two springs ensures the stability of the driving force of this emblematic movement made of 18ct rose Gold, a specificity of the brand. I designed the Chronomètre Optimum in 2001. It was the first time that I integrated the dead beat second into my constant-force remontoire. This dead beat second can clearly be seen and is natural due to being linked to the one-second remontoire. In this watch the constant-force remontoire is visible while the second hand on the main dial ticks away at a speed of 3 hertz, i.e. 6 times per second (frequency of the escapement). 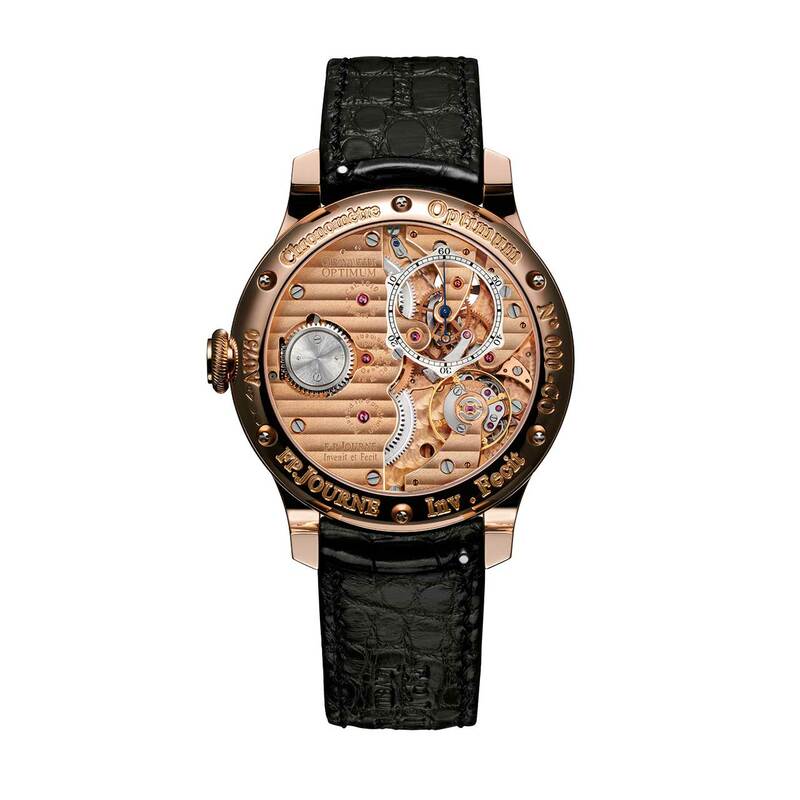 This watch, in 2004, inspired the Tourbillon Souverain with Dead Beat Second. As I was working on the Octa collection and the various models of these automatic watches at the same time, I was unable to put the Chronomètre Optimum into production. Then other models such as the Sonnerie Souveraine, the Centigraphe and the Répétition Souveraine took up all my time. The basic premise was to make a watch with less internal friction, a constant force on the escapement to ensure isochronism and an escapement without lubrication to ensure stability. 1) Friction: to reduce friction the two barrels in parallel eliminate the lateral pressure to which the great wheel is subjected and exert a more stable force on the wheel train. Isochronism: the balance's oscillation rate must always stay the same. Unfortunately the spiral is always imperfect, making it impossible to achieve this when amplitudes change due to the energy of the spring weakening. 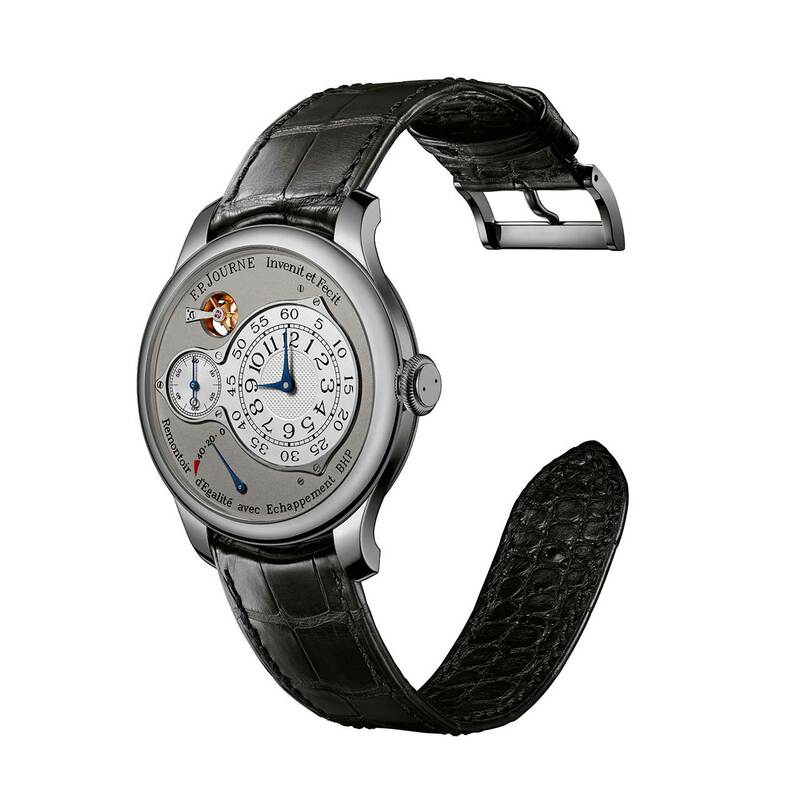 The constant-force remontoire (patent EP 1 528 443 A1) achieves constant amplitude for the first 45 hours of power reserve. 2) The escapement (EP11405210.3) patented under the name of EBHP is a direct impulse escapement, which means that the escapement wheels supply impulse directly to the axis of the balance. In the 18th century there were several direct impulse escapements: the spring detent or pivoted detent escapement, the Robin escapement, Breguet's natural escapement, etc. All these escapements work without oil but are not suitable for wristwatches. Modern escapements are assumed to be self-starting and to have the stabilising features required to deal with arm movement. For this reason the EBHP has an original geometry enabling automatic starting and a configuration of ruby pallets blocking the escapement wheels at a specific angle, similar to the Swiss anchor escapement, enabling "recoil". This isolates the blocking anchor from the balance in order to stabilise it during movement on the wrist. My watchmaking philosophy is to make watches that will still work in 200 years. Those made 200 years ago are still in working order today if they have been maintained regularly. It is for this reason that I only use solid materials that have proven their worth rather than modern materials that will probably be unable to be repaired in a few decades. - The Chronomètre à Résonance achieves a constant rate when exposed to movement on the wrist. This watch is very accurate because its rate is not affected when the watch is worn. 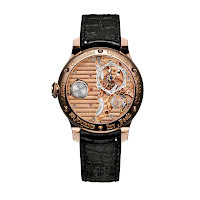 - The Tourbillon Souverain: the classic tourbillon is not generally a very good watch, but combined with a constant force remontoire, its stability is guaranteed. - The Chronomètre Souverain: has the same accuracy as the Chronomètre à Résonance but does not cancel out the effects of being worn.